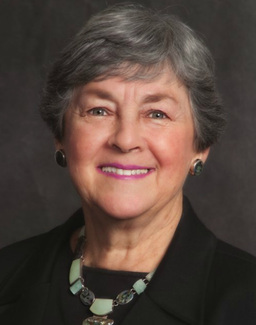 Beverly Levett Gerber is Professor Emerita of Special Education at Southern Connecticut State University (SCSU). Her professional background combines both special education and art education and she has been an advocate of the arts for students with special needs for almost 50 years. She is co-editor with Doris Guay ofReaching and Teaching Students with Special Needs through Art (NAEA, 2006) and with Julia Kellman of Understanding Students with Autism through Art (NAEA, 2010). Reaching and Teaching Students with Special Needs through Art continues to be NAEA's all-time best seller. he has also given numerous state, national, and international presentations about the value of the arts for students with special needs. Gerber has been a frequent presenter at both the National Art Education Association (NAEA) and the Council for Exceptional Children (CEC). She is a founding member and Past-President of NAEA’s Special Needs Issues Group and wrote their bi-monthly “Special Needs” column in theNAEA news for 6 years. In 2007, the Special Needs Issues Group established the annual NAEA/CEC/VSA Beverly Levett Gerber Lifetime Achievement Award in her honor. In 2011 she was the recipient of NAEA’s Lowenfeld Award for Lifetime Achievement in Art Education. Her acceptance speech, “Art Education and Special Education: A Promising Partnership,” can be found on NAEA’s website www.arteducators.org. At CEC, Gerber has long been an arts advocate and serves as the “Arts and Special Education” representative on CEC’s Convention Program Advisory Committee. She initiated a Special Interest Group for Teachers of the Arts, and organized CEC’s three pre-convention sessions devoted to the visual arts for students with special needs. At SCSU, Gerber serves as a member of the Board of Directors for Connecticut’s Center for Excellence in Autism. She helped to establish the Artism program at SCSU for college-age students on the autism spectrum and, with Megan Rudne Hoffecker, is involved in Artism’s teaching, arts research, and professional presentations. Dr. Gerber shares stories, as an art educator, special educator, and parent of a son with Down’s syndrome, that parallel and reflect special education’s historical journey. Students on the spectrum demonstrate their special skills and needs and remind education decision makers to individualize educational programs. Their parents are now the leaders and advocates for their children’s education, and support systems. Art education, previously unrecognized by special education, has always addressed different approaches. Choosing the Art Lesson is an interactive, hands-on session. Participants will explore differences between closed-ended and open-ended art lessons. 2013	White Paper with Karen Kiefer-Boyd and Jean B. Crockett, “Next Steps: New Research and Teaching Journals at the Intersection of the Arts and Special Education” in 2013 VSA Intersections: Arts and Special Education: Exemplary Programs and Approaches. Washington, DC: VSA-The John F. Kennedy Center for the Performing Arts. 2012	White Paper with Lynne Horoschak, “Creating a National Arts/Special Education Resource Center” in The Intersections of Arts Education and Special Education: Exemplary Programs and Approaches. Washington, DC: VSA-The John F. Kennedy Center for the Performing Arts. 2012	“Charlie Does What I Tell Him To,” In Conversations in art: The dialectics of teaching and learning. Judith Burton and Mary Hafeli, Eds. Reston, VA: NAEA. Available from National Art Education Association. 2010	Co-Editor, with Julia Kellman, Understanding Autism through Art. Reston, VA:NAEA. Available from National Art Education Association. 2006	Co-Editor, with Doris Guay, Reaching and Teaching Students with Special Needs through Art. Reston, VA: NAEA.